Wednesday, February 20, 2008 at 6:30 p.m. 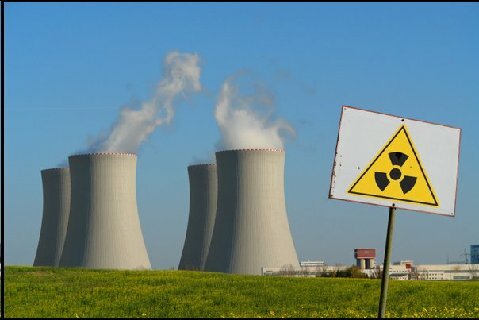 The League of Women Voters of Ocean County and the Ocean County Library will cosponsor a Community Dialogue about radiation emission at the Oyster Creek Nuclear Plant and its effect on the health and safety of Ocean County citizens. Confirmed panelists are Joseph J. Mangano, MPH, MBA, Executive Director of the Radiation and Public Health Project in New York, Dr. Donald B. Louria, Professor and Chairman Emeritus of the Department of Preventive Medicine Community Health at UMDNJ in Newark and Alec Baldwin, actor/activist. Also invited are Dr.Letty Goodman Lutzker, Chief of Nuclear Medicine, Saint Barnabas Medical Center, Livingston, NJ, representatives from the Nuclear Energy Institute in Washington, DC, from New Jersey Affordable, Clear, Reliable Energy Coalition (NJACRE), the lobbying firm hired by Exelon, from AmerGen (Oyster Creek Nuclear Plant,) from the Nuclear Regulatory Commission (NRC, and from CASEnergy, a Washington DC organization that supports nuclear power, from the Health Physics Society and from the American Nuclear Society. To date, none of theses organizations have a staff person available to participate in the Community Dialogue. Since the atomic age began, there has been considerable debate about the health risks of low-dose exposures to atomic bomb test fallout and emissions from nuclear reactors. With advances in research technology, studies document increased rates of childhood cancer near nuclear facilities; confirm the previous underestimation of risks by as much as 10 times; and the elevated risk to fetus and infants. Past studies were based on results of testing adult males and did not include women, pregnant women or fetuses and infants. This group is the most vulnerable. Alec Baldwin is a graduate of New York University, and an accomplished actor in film, theatre, and television. He has long been involved in public issues, including health and the environment. For nearly a decade, he has devoted much time to the issue of radiation health risks. He was a Board member of the Long Island-based Standing for Truth About Radiation, which helped in the permanent closing of nuclear reactors at the Brookhaven National Laboratory. Mr. Baldwin has been a long-time supporter of the Radiation and Public Health Project research group, especially in its study of radioactive Strontium-90 in baby teeth. He has taken a particular interest in the Oyster Creek nuclear reactor and has made numerous visits to the Garden State to speak out publicly against the hazards of keeping it running. Joseph J. Mangano, MPH, MBA, is a health researcher and Executive Director of the Radiation and Public Health Project (RPHP), which conducts research and education on health risks of nuclear reactors. Mr. Mangano has served RPHP since 1989. He has published 23 articles in medical journals that have been reviewed and approved for publication by experts. He is author of the book “Low Level Radiation and Immune System Damage: An Atomic Era Legacy” (Lewis 1998), and co-author of “The Enemy Within: Nuclear Reactors” (Four Walls Eight Windows 1996). His work has found a consistent pattern of increased cancer rates after nuclear reactors begun operating, and decreased rates after they shut down. Mr. Mangano played a major role in the RPHP study of Strontium-90 in baby teeth, the only study ever to examine radioactivity levels in bodies of Americans living near nuclear plants. The study found the highest Sr-90 levels closest to plants, rising levels since the late 1980s, and high levels in children with cancer. Mr. Mangano has participated in 20 press conferences and presented testimony to 17 government panels. He has also written 25 editorials in U.S. newspapers in 2006-2007, most of them discussing the health risks of building new nuclear reactors. Because of his efforts, RPHP work has been extensively covered by media including The New York Times, USA Today, CNN, NPR and BBC. He received master’s degrees in public health from the University of North Carolina and in business administration from Fordham University. Donald B. Louria, MD is Professor and Chairman Emeritus of the Department of Preventive Medicine and Community Health at the University of Medicine and Dentistry of New Jersey-New Jersey Medical School. Dr Louria earned his medical degree at Harvard Medical School and served an internship and residency in Medicine at The New York Hospital in New York City. Before joining UMDNJ, he was Associate Professor in Medicine at Cornell University Medical College and Director of the Infectious Disease Service on the Cornell Division at Bellevue Hospital. Dr Louria is a Fellow of the American College of Epidemiology, the Infectious Disease Society of America, the American College of Preventive Medicine, a Master of the American College of Physicians, and a member of the American Society for Clinical Investigation. He is recipient of the Rosenthal Foundation Award of the American College of Physicians, the Dennis J. Sullivan Award of the New Jersey Public Health Association, and the New Jersey Governor’s Award. Dr Louria’s major research and clinical interests are: fungal infections; superinfection; infections in aging; infections in compromised host; drug abuse; heath promotion-disease prevention; HIV epidemiology. In recent years, as a futurist, he has focused on: the consequences of extraordinary life extension; and the need for systems thinking in our educational system if the society is to thrive. Dr Louria’s program of health promotion and disease prevention, the Healthful Life Program, is now law in New Jersey as the Health Wellness Promotion Act. He served two terms as Chair of the Advisory Board to the Act. Dr Louria is the author of six books, two short stories, eighty-five chapters in texts or monographs, and over three hundred fifty articles in peer reviewed medical journals. Currently, he is Chair of the New Jersey Higher Education Partnership for Sustainability Committee at UMDNJ, and has just submitted a comprehensive energy conservation and environmental protection program to the administration of UMDNJ for implementation. He is a Board member of the Nuclear Policy Research Institute and is now involved in developing a road map for a sustainable energy future in the United States and around the world.